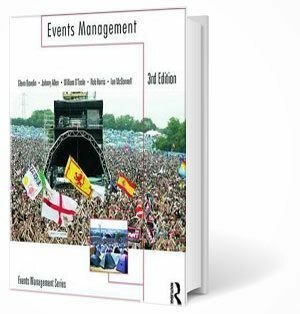 Events Management is the must-have introductory text providing a complete A-Z of the principles and practices of planning, managing and staging events. The book introduces the concepts of event planning and management,presents the study of events management within an academic environment,discusses the key components for staging an event, covering the whole process from creation to evaluation,examines the events industry within its broader business context, covering impacts and event tourism,provides an effective guide for producers of events and contains learning objectives and review questions to consolidate learning. Each chapter features a real-life case study to illustrate key concepts and place theory in a practical context, as well as preparing students to tackle any challenges they may face in managing events. Examples include the Beijing Olympic Games, Google Zeitgeist Conference, International Confex, Edinburgh International Festival, Ideal Home Show and Glastonbury Festival.